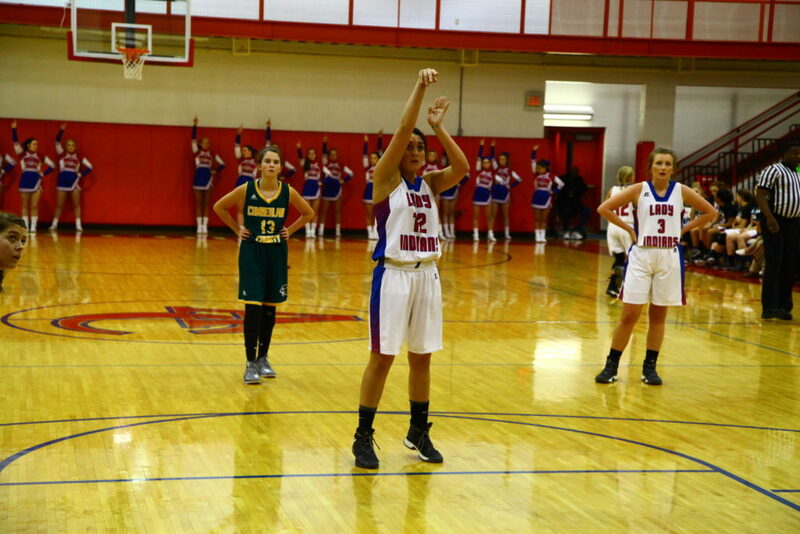 Lady Indians Open Season With a Strong Home Win. The Adair County Lady Indians opened up the 2017-18 season with a nice win at home versus Cumberland County by a score of 52-26. The Lady Indians dominated the boards from the start of the game and were able to capitalize with a plethora of second chance baskets. Defense was another bright spot for the Lady Indians as they held Cumberland County to just 10 points in the first half and just 16 points in the second half. Jadie Smith led the Lady Indians with 20 points going a perfect 6 for 6 from the charity stripe while pulling down two rebounds. Ashley Owens had a nice game with 19 points, five rebounds, four steals and one assist. Seniors Taylor Cole and Kyla Kessler each contributed to the win with fantastic offensive and defensive effort. Cole finished with 6 points, five rebounds with an assist and a steal. Although Kessler didn’t record a basket in the game she filled up the stat sheet with 6 steals, five assists and one rebound. Rachel Parrish chipped in with three points, three rebounds and four steals in the win. Overall the effort and intensity for the Tribe was very high for the entire game, as the Lady Indians never trailed from tip off to the final buzzer. The Lady Indians will be in action Friday at 5:30 at Green County as they look to start the 2017 campaign 2-0. Junior Ashley Owens goes to the line against the Cumberland County Panthers during the ACHS Lady Indians season opening win Tuesday night. The Tribe won by a score of 52-26. 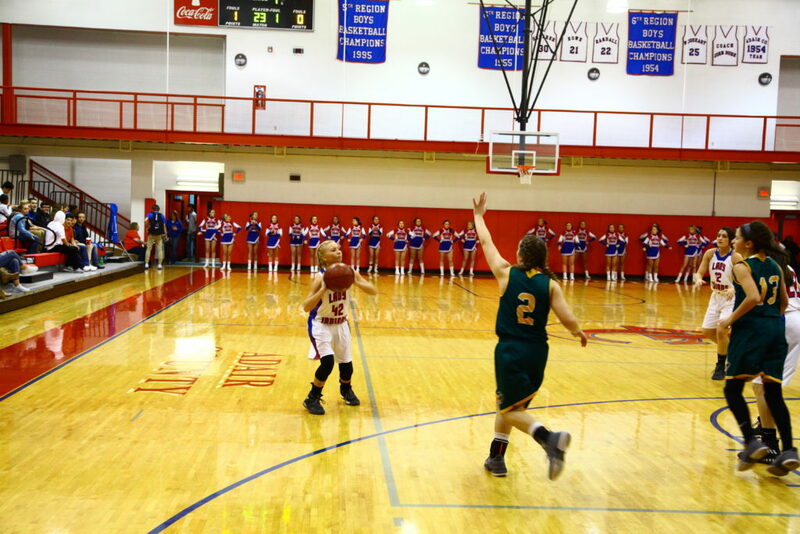 Senior point guard Kyla Kessler launches a three from the right wing on Tuesday night as the Lady Indians beat Cumberland County by a score of 52-26.